Last night (as part of my ongoing efforts to get out more and meet like-minded people), I attended a meeting organised by Women in Publishing (UK). I first heard about them last year, when I was shortlisted for an award, and since then, I've learnt more about the organisation, and the brilliant work they do to promote the interests of women in the publishing industry. 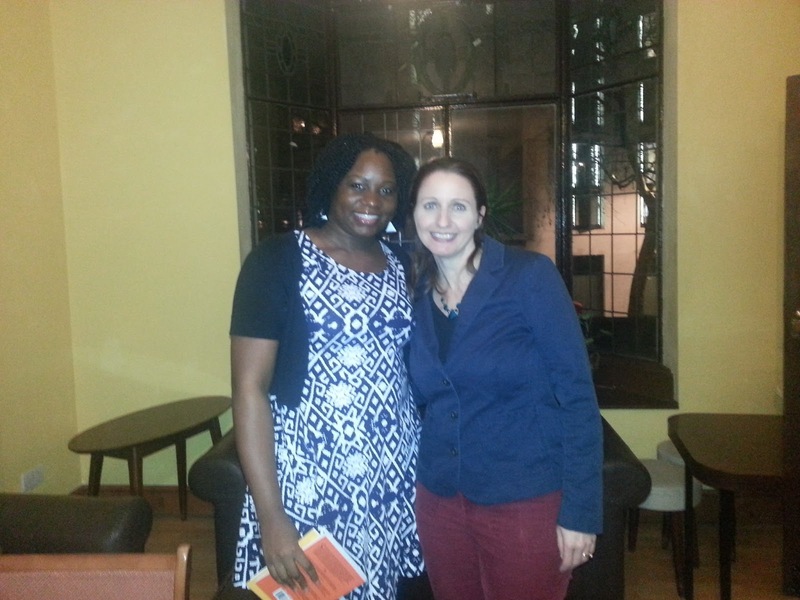 This month, I was particularly excited because one of the guest speakers was Joanna Penn! She's an author, blogger, speaker, marketing guru and entrepreneur and she's the person behind The Creative Penn website and blog www.thecreativepenn.com . I've been following her blog for a couple of years now and it's such a helpful site for authors like me who are going down the hands-on, DIY route to getting our stories published. The other guest speaker was Maia Walczak who is a writer and illustrator of children's books. 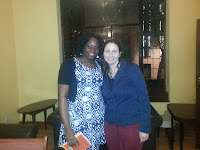 Joanna was of course, lovely in person, with such enthusiasm and passion about sharing all that she's learnt in her journey to becoming a published author. She talked about the business of writing, the way self-published authors are bringing big changes into the publishing industry, she shared lots of advice and tips on self-publishing, including the things that writers should never skimp on: a professional editor and cover design!After the meeting, I had a brief chat with Joanna, and I'll be doing a guest post on her blog sometime next month. Something else I wanted to share: I had a bit of an epiphany on my way to the meeting which was at the Strand. I took the underground to Liverpool Street, and decided to come out to take the bus to the venue instead. As I came out of Liverpool Street station, it was 6.09pm which is peak closing time rush hour. So the station concourse was full of the 9 - 5 commuters rushing to and fro, mostly trying to get home. I stood watching them for a while, remembering that this was my life, only five years ago. I too, used to stand on the concourse, waiting for my train and platform number to be displayed on the train. I felt really grateful and free at that moment, realising that I was out of that miserable 9 - 5 madness that I'd been stuck in, not knowing that there is another way to live. If someone had told me then, that I would see things differently a few years down the line, I wouldn't have believed them. Of course, I'm not (yet) making as much money as I would like to, but I can now see that life is not just about how much money you make. There's more to life than being a slave to a job you hate. You have to see your life as a whole. The fulfilment I get from loving my career, and the flexibility of being able to work from home while looking after my baby, are things that mean a lot more to me. As I walked away and got on my bus, I told myself to remember that moment whenever I start feeling discouraged or upset that I'm not where I thought I would be yet. I have to learn to enjoy the journey and progress that I've made so far. I am happy for you Tolu. It's always exciting reading your blog.I have met only a few writers who love what they do passionately. You always carry your readers along. And they are able to have the same feelings you have while writting your articles. This is because your works are down-to-earth, easy to relate with and come from a place of fulfillment. Thank you so much. I hope I can be as brave as you are some day. 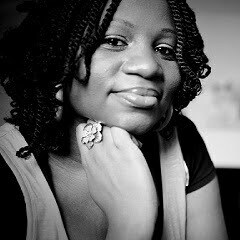 Tolulope, I must say that you are dedicated lady who writes with so much passion, and this makes things work out. Nice to see that you enjoyed your meeting. Hope to follow on your blog tour! I read something recently where the write said, "Blending in is easy, standing out gets things done." What you have done is to stand out and you are getting things done. In the process you are encouraging those who have been less brave and have remained in the shadows. Keep up the good work, we are with you all the way! Thanks so much dear. If just one person is inspired to follow their dreams because of something I said, then I'm very happy! Really thankful for you dearie! You may not be where you want to be but you sure aren't where you used to be! It always works out in the end...that's the reward of stepping out and standing firm! You're absolutely right my dear. Thanks! Great writting! I am from Brazil and just started to follow your blog daily now. Thanks! 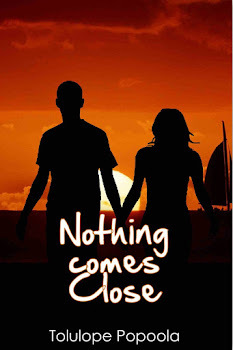 New Reviews for "Nothing Comes Close"